"Average Actual Attendance last year was 95%. This year, attendance has averaged at the 97% level, which translates to over 32,000 instructional minutes gained." 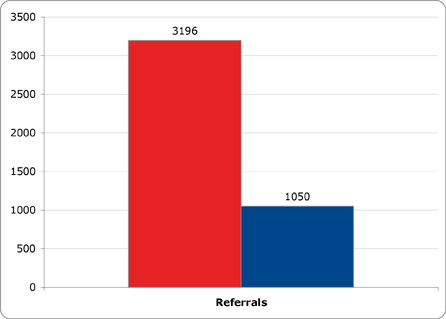 "Last year, there were 3,196 referrals to the office. Projected out through the remainder of this year, there will be 1,050 referrals—a 67% reduction." 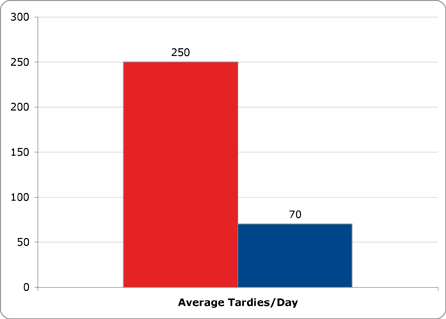 "Last year, we had an average of 250 tardies per day. Currently, the average has dipped to 70 per day—a 72% decrease." 92% of students qualify for the Free/Reduced Lunch Program. Over the course of one year with START on Time! 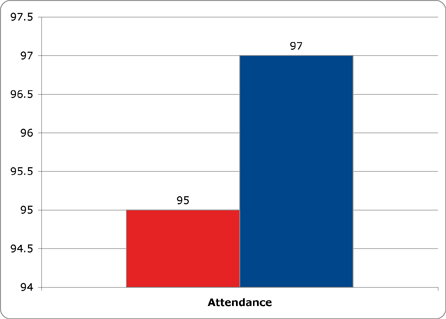 students at Stephens Middle School have increased attendance rates and reduced both office referrals and tardies!